With more and more happening in the way of location based social media, including deals that you get and contests you can enter simply by checking into places, there is also a growing need to remind people just what they are sharing when they “check in” while out and about, and the possible repercussions of revealing such detailed information. Foursquare, one of the most popular location based social media services, is only one of a few that allow you to share your current location with your Facebook and Twitter friends. I don’t know about you, but if I chose to share my location with both networks, I’m broadcasting to over 15K people all over the world where I am. Needless to say, with that many people following, there is a good chance that there would be some withing driving distance of wherever I have checked-in. So the question is, where is it really safe to check-in? I like to look at it as you should only check into places you would like to be found, or are ok with being found. For example, I did a lot of check ins during Blog World Expo because I was hoping to meet other bloggers while around the conference area and at some of the meetups nearby. Of course, I also have to realize that while I may only be thinking about other BWE attendees finding me, I’m simultaneously telling anyone in Vegas what hotel I’m at, which makes me locate-able by anyone in the vicinity. Another thing you have to consider is if you are establishing patterns with your check-ins. Are you always at the same location on a specific date and time? This not only helps people who want to meet you (that you may not necessarily want to meet) be able to predict where you will be and get there in advance. Or, it will help them know when you won’t be home, aka the Please Rob Me website that is now deciding what to do with the very public “I’m not home right now” info shared online. If you’re absolutely determined to use check into locations, but are not concerned with people finding you while you are there (because you are badge obsessed or want to get deals by being a loyal customer), you can always check into a location right before you leave. You get the satisfaction of checking in without the possibility of being found. 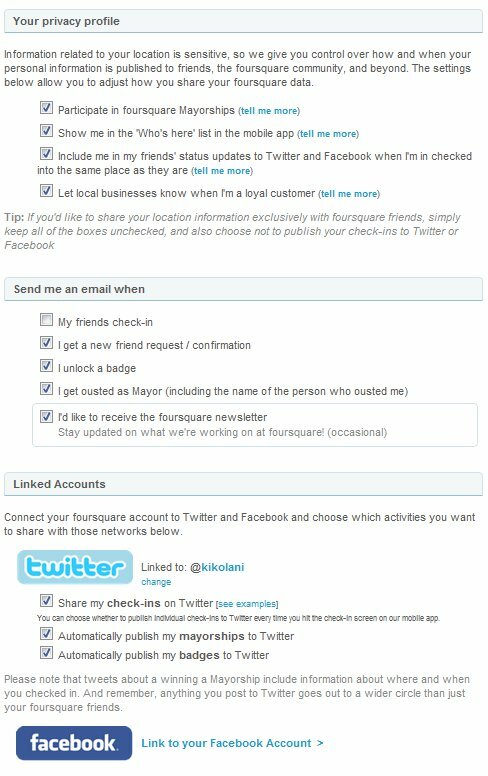 Many social networks, whether they are location based or not, have settings that will either share your location or help you keep it to yourself. Here are some to consider tweaking before revealing your next move! As you can see from the settings, you can make your check-ins safer by removing yourself from the “Who’s here” list, as well as remove yourself from other people’s updates when they check in to the same places they do. What’s worse than checking into a location? Having someone else check you into a location for you, one of the nifty “features” on Facebook. 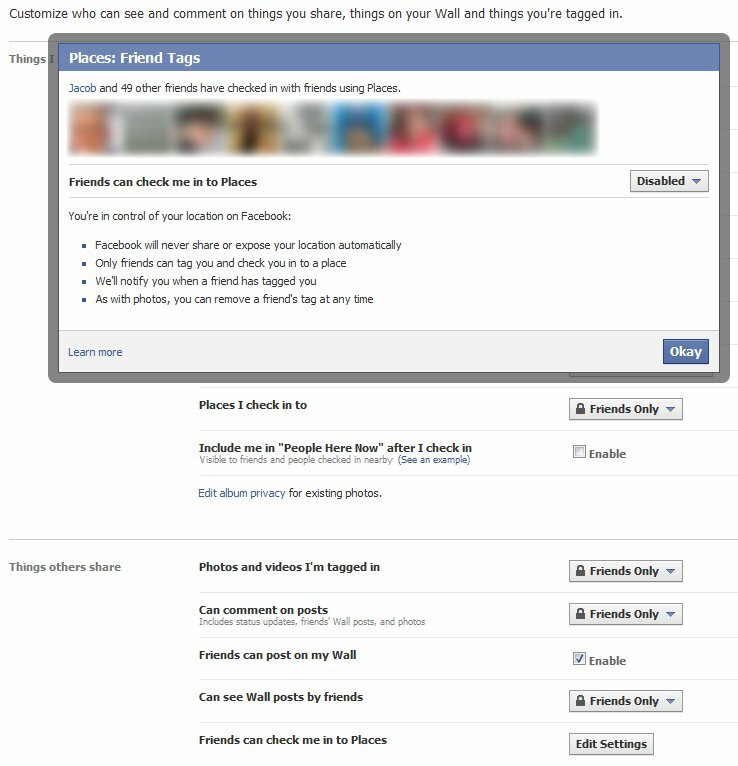 Be sure, if you want your location to be private, that you disable this feature and (as a backup) only display locations to friends, as opposed to the entire Facebook community. 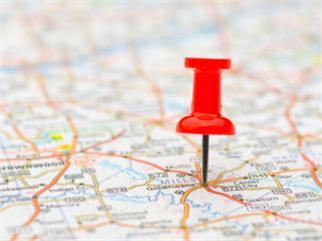 Twitter also allows you to add a location to your tweets, so people know where you are when you tweet. This area under settings allows you to turn on / off that feature, as well as clear your location history if needed. So what does a photo sharing application have to do with location based social media? I was surprised to find out that Plixi (formerly Tweetphoto) included a map of your location when you take photos and upload them on your mobile. It was an opt-out feature before Plixi took over – hopefully that is now opt-in, but you can check in your settings. Got any tips for those looking to safely use location check-ins on various services, or additional privacy settings that should be noted on other networks? Please share your tips in the comments! 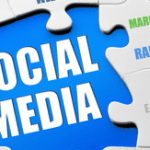 At What Point Are You Wasting Your Time With Social Media?